The full-color, hardcover 72-page book will act as an exhibit guide, containing photos and stories of scores of the items on display. Written and photographed by Steve Sansweet and Anne Neumann, with design and layout by Stan Stice, the book is intended to be the first volume in a series, “The Treasures of Rancho Obi-Wan.” It also includes a 4-page centerspread foldout that has hundreds of photos of visitors to Rancho and to our exhibits at past Celebration events. Steve Sansweet has published previous books about his collection including Star Wars: The Ultimate Action Figure Collection. 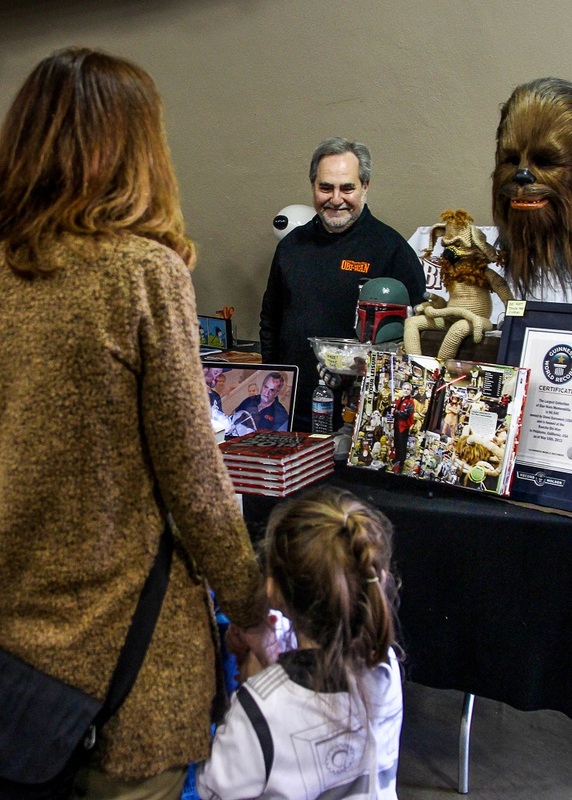 Steve Sansweet recently showcased some of his collection at Petaluma’s First Annual LumaCon comic book convention as well. Click here for more information on the 2015 LumaCon event. This information is via Rancho Obi-Wan Launches First Book For Celebration Anaheim Exhibit | Rancho Obi-Wan. Go to their site for more information.